Curious yet? Then don't wait and start listening, so you don't have to remain in the dark. Save yourself the time and learn from what worked for me. I will see you in the first chapter! Thank you for a brilliantly written audio book. 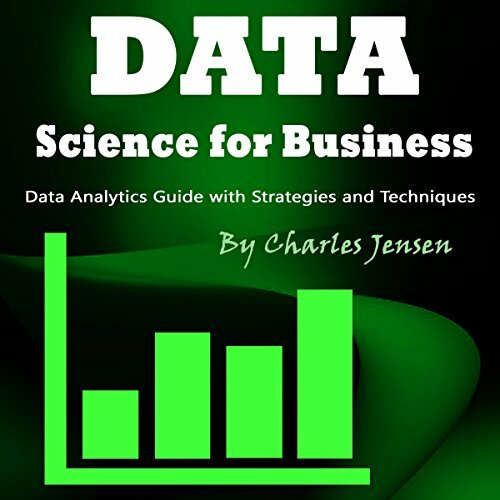 Thank you for a brilliantly written audio book that allows the listener to navigate the field of data science and for lifting up the mystery cover for many potential data analysts who don't go into the field because they think it is voodoo. Very well organized, easy to follow. Very well organized, easy to follow and full of real life examples. I truly recommend this audio book to everyone who's learning how to deal with a big data and big data analytics projects. This audio book addresses the topic of Big Data. This audio book addresses the topic of Big Data in a practical, understandable manner. Some audio books are too technical or the authors seem to be learning as they go. These guys know what they are talking about well enough to really be able to explain it. Well explained, a good overview! Well explained, a good overview for the semi-technical business listener. Explains the critical areas of Data Science with appropriate depth to understand concepts etc. Great audio book for providing a high level summary of data science techniques to people that may not care about the mathematical details. I tend to recommend this to people more worried about building up a working knowledge of classic problems and approaches in data science rather than for those wanting to look at page after page of detailed math related to probability distributions. I'm trying to learn data science. I'm trying to learn data science, and this book is well explained incredibly. It gives an overview at a level which gets you a decent technical understanding, plus it points very clearly the way to dive deeper in any particular area that you would like to explore. Gives you the details, insights, underlying principles, and a glimpse but not the full set of math that would be necessary to actually be a practitioner. Extremely useful and thorough, from the perspective of a business person whose business involves overseeing and delivering analytic products. Coming from a business perspective, I had to learn the math part pretty quickly. This book enables me to do that. It felt like a very well written crash course on the ideas behind the different methods and the math to them. Great introduction to the role of Data Science in Business Analytics applications across any organisation. Avoids math complexities of the Data Science methods and techniques and always keep the focus on business value delivered by a data science solution!